FILLMORE, NY ­­– Last week the No. 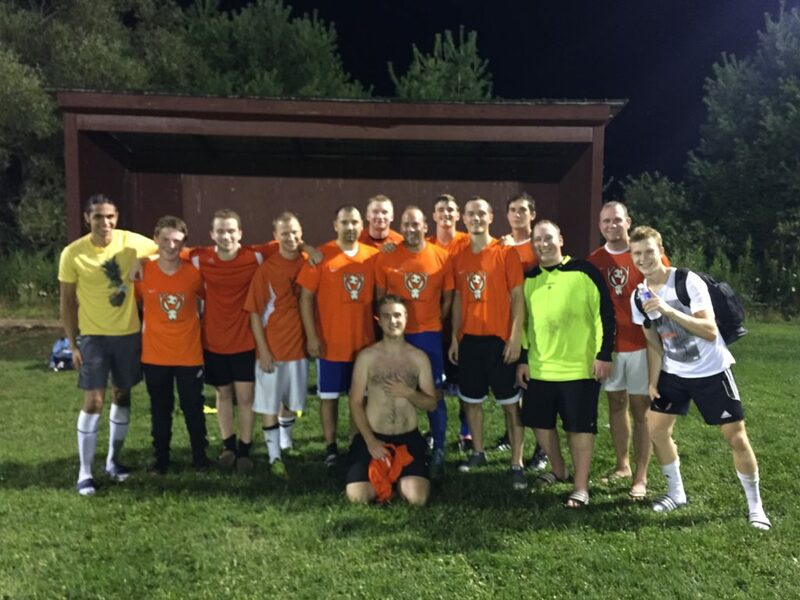 4 seed Geneseo Jackalopes competed in the finals of the Southern Tier Amateur Soccer league for the first time in 13 years, against No. 1 seed Fillmore. Fillmore went on to win 4-3 in a nail-biting game. Fillmore came out strong scoring a goal 5 minutes into the game, and jumping out to a commanding 3-0 lead. The Jackalopes didn’t score until the 40th minute, when a cross from Daniel Cannon, a Geneseo Central 2017 alumnus, floated over the Fillmore goalie and into the back of the net. The Jackalopes’ next goal came in the 78th minute, when Colin Brickwood of Mount Morris scored on a breakaway. Ten minutes later Jon Dilura, team founder and SUNY Geneseo 1997 alumnus, scored on an absolute firecracker to tie it up. But it wouldn’t be enough as Fillmore would score with 40 seconds remaining to take the lead, and the game. STASL is a league made up of 7 teams around the southern tier if you or team are looking to join please contact 1-585-313-0670.